'Shooter' is a special boy and has lived up to his early potential . 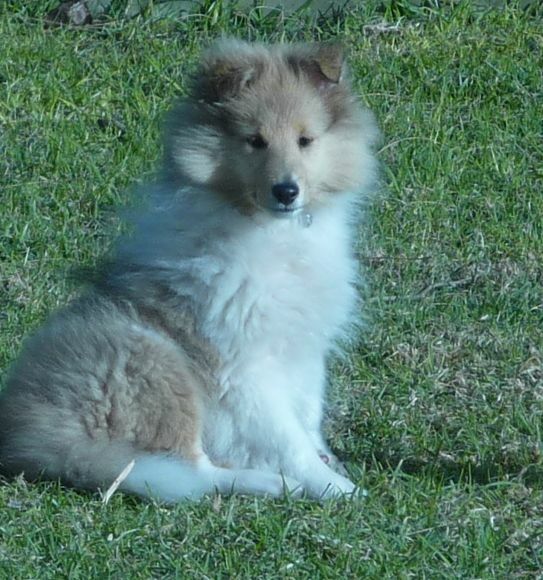 He is a outgoing boy , tail wags none stop , very easy going and placid nature . Very happy with his overall structure , level topline , arched neck , good depth of Chest , legs under the body , With Sweet Almond eye and level head planes . 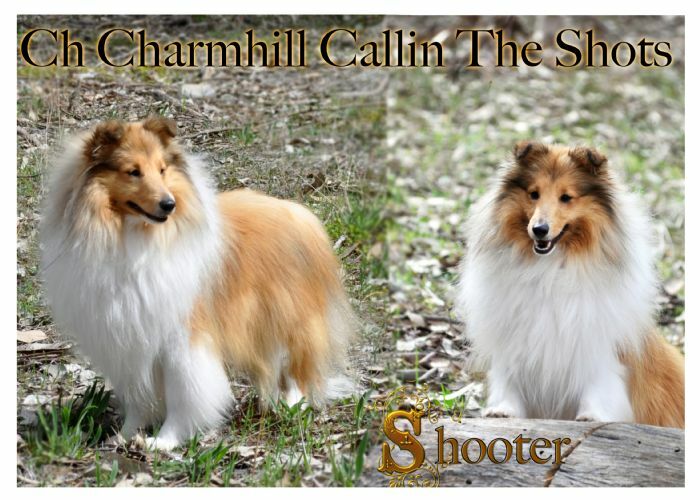 In 2017 Shooter shined in the show ring as a Baby Puppy he amassed 5 Baby In Group and also 5 Baby In Show awards with one being a Sheltie Speciality win at just 5 months of age . At 10 months he was BIS at SSCV Open Show under breed specialist Lisa Berrill . under Breed Specialist Monica Monlock (Sweden) . 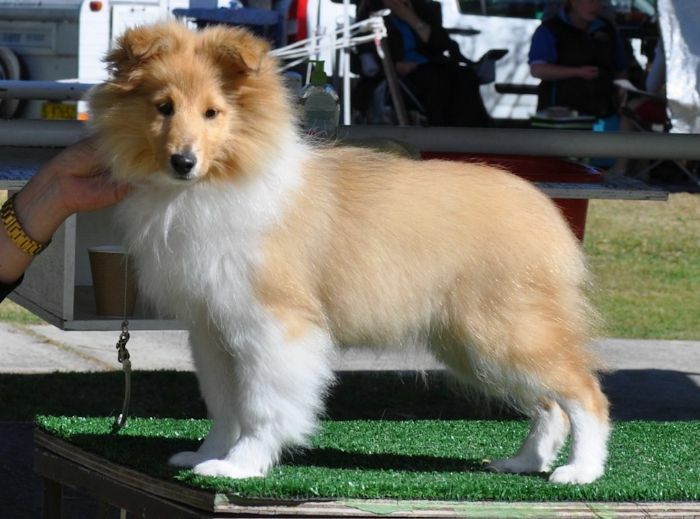 A sable boy of excellent type with a wonderful expression, very sweet eyes and very nice ear set, well placed stop, well rounded muzzle and correct bite. Excellent neck and topline, well carried tail. Nice bones. Excellent angulations in front and behind. 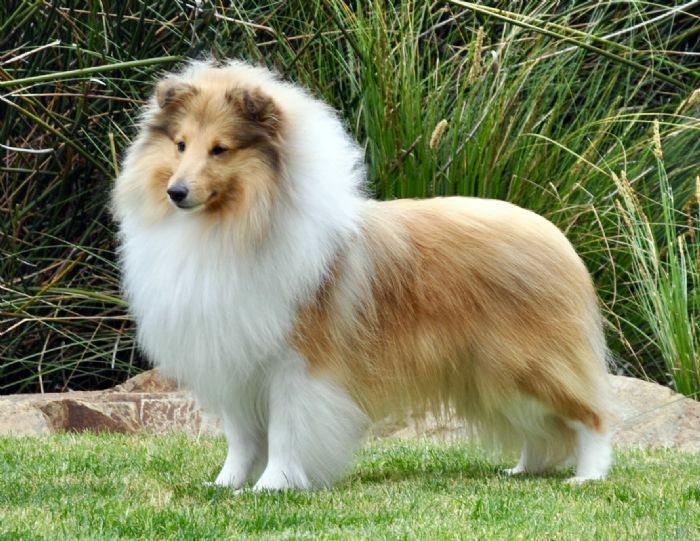 Beautiful coat and colour. He moves with an excellent drive. Very well handled. Excellent temperament and attitude. Just recently starting August 2018 on another showing holiday with Nicole he has gained his Championship title with a Best In Group , 4 Runner Up in Groups, 4 Junior in Shows, 2 Open In Groups all in the space of one month. 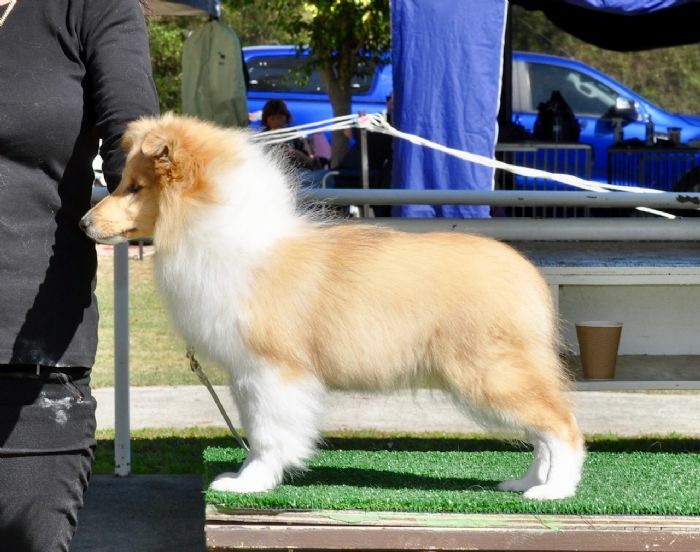 November 2018 at SSCV 60Th Championship Show under Breed Specalist Jo Hardy of Sandwich kennels UK he was 3rd in a strong Junior class . Another quality young man with really handsome and masculine expression, just short of 18 months of age. Dark eye enhanced by excellent pigmentation gives such appeal. Needs to clear in stop and ears are set a touch wider but his head is quality and of good length with flat skull and well defined underjaw. Excels in reach of neck with excellent shoulder and length of upper arm. Slightly longer cast in body proportions compared to the first two and will insist on standing tucked up a touch at the rear. Coat is of pleasing texture and an attractive, pale red gold. Quality boy and it’s easy to seewhy he holds his title already. Many Thanks to his handler Nicole Pearson for promiting this young man and also Eryn Finlay and Lyn Pearson who handling him when Nicole was unable . Shooter will be Hip Scored in the Future when Age Appropriate . Shooter has Full Dentition .